If you’ve been a fan of this blog for a while (and I can’t imagine many people have), you may recall a post which I wrote the last Leap Year on February 29, 2008. At that time I was 38, Anthony was 4 and still in preschool, and I was still happily employed at Learning Tree and making decent money. My, how things have changed as we’re about to find out. Keep in mind that many of the questions in the Entertainment section dealt with who was popular at the time so if the questions seem completely irrelevant, that’s why. And to give you another idea of this, I mention MySpace in the original post and only joined Facebook 5 months prior. Kind of scary. Anyway, here are the results from the Leap Year Survey 2008. Let’s see how well I did. Result: True. It’ll be 19 years this year so things aren’t going to change. Result: True. I started my weight loss blog entries on March 24, 2008 and a few days later I weighed in at 251 lbs. As of this post, I’m at 209 lbs. and focusing more on muscle mass than overall weight. Result: True. And I’m glad that hasn’t changed. Anthony is a handful on his own! Result: True. While most of the jobs moved to Reston, VA, there are still some lingering here in California. Result: False. 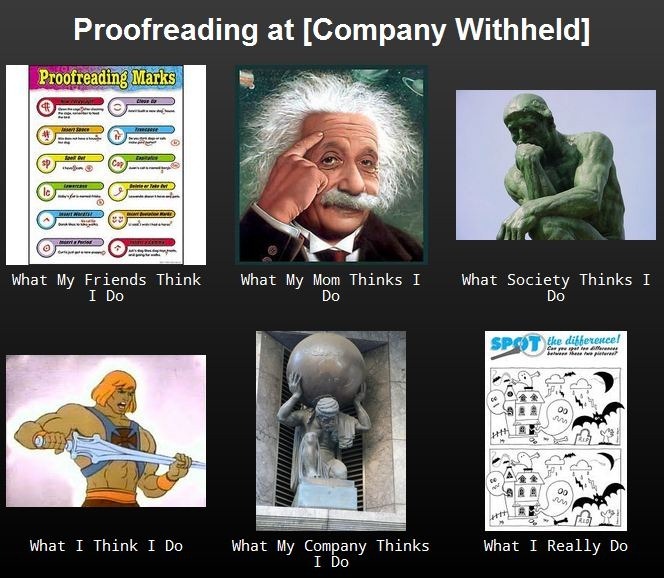 I’m proofreading which is nothing like writing. Result: True. I can’t recall what I was driving back in 2008 but I’m sure it wasn’t what I have now, which I got in 2009. Result: False. I drive a sedan but unless you consider a used Ford Fusion Kia Rio a luxury car, this one is definitely wrong. Result: True. That won’t change. Result: False. She has 2. Result: False. She’s engaged to someone who will be her 3rd sucker. Result: False. She’s still lingering but barely. And who would have ever guessed Whitney Houston wouldn’t? Result: True. The man just won’t make those rumors of his passing come true. Result: False. His last album, Pac’s Life, was released was in 2006. Result: True. While they were nominated for a Grammy for Best Alternative Music Album and Best Short Form Music Video, they were snubbed again. Result: Null. I can’t even think of what I was watching back then other than The Simpsons, and that’s still going. Could go either way, I guess. Result: True. Each member of the family has one. Result: Null. It’s hard to exactly say if this is true for several reasons. For one, the iPhone essentially has an iPod built in to it, smartphones can do just about anything an iPod can, and who ever saw the iPad, Kindle Fire or other tablets coming? Even with all those facts, iPod sales continue to soar. Result: False. Sales of Blu-ray discs also continue to climb. Result: False. While they were having difficulties after Apple and Google got the smartphone wars going in 2007, they are by no means bankrupt. Result: True. Hybrids continue to be popular but many car manufacturers are making fuel-efficient vehicles that can get up to and over 40 MPG – at a significantly lower price, making them a viable alternative to hybrids. Result: True. It’s still around and with many fans and despite the SIRIUS/XM merger, it only started turning profits recently. Result: True. Many phones shoot videos in hi-def. Result: False. As of this post, it is $4.25 but still climbing. Result: False. They are currently $77 for kids and $80 for adults, single-park ticket. Result: False. You can still buy stuff for around a buck. Result: False. With people straying away from gas-guzzling SUVs, compact cars are making some headway. Most manufacturers offer a base-model, entry-level car for around $15k MSRP. In my last post, I created a nifty little collage of images that was based on the currently popular “What People Think I Do” meme. Then I really got to thinking about what exactly it is I do for a living and realized how much I no longer want to be a proofreader. That’s not to say that I never have. When I first got my start I thoroughly enjoyed doing it because up to that point, I was just another retail slave. Going from printing photos in a photo lab to working in an office proofreading and writing articles for magazines that were published across the country was a quantum leap in terms of personal enjoyment, compensation, and my overall career. And the writing I do here on the blog is fine and well because, let’s face it, I’m the boss and everything is up to me (except those things which I cannot control). Whatever I want to say and however I want to format it – the choice is always mine. It’s enjoyable and is my outlet at the end of a day, a day that is filled with 8 hours reading a variety of labels and Instructions for Use in multiple languages, none of which I can tear apart and reconstruct the way I wish I could. I have been proofreading since 2003 and I believe that it has taken its toll. Additionally, it’s not something I can see myself doing in 10 or even 5 years from now. Heck, try 1 year. To top it all off, my eyes sometimes feel like they are going to fall out of my head by the end of the day. Taking all things into consideration, it’s safe to say that I think I’ve reached the end of my line as a proofreader. The lack of personal enjoyment aside, the market for experienced proofreaders is ridiculous. I can’t tell you how many recruiters have contacted me regarding open (contracted) proofreader positions they had available. The contact is made, I send my resume, and then I either hear nothing or get the “Thanks, but…” e-mail or call. It’s an employer’s market and I’m nowhere near the top rung on their ladder of qualified candidates. What makes me less attractive, aside from the obvious physical traits, is that I’m 43 with no college degree which pretty much makes me look like a loser when they open up my resume. I simply lack the required education for the available proofreading jobs and it’s not like going back to school was going to help me one bit. In fact, I have scrapped that plan because at this point, I would be wasting my time and money by taking whichever course I was considering: Technical Writing or Effective Business Writing, I forget which. I don’t even think I had my choice narrowed down yet. Yay verily, it’s safe to say that my days as a proofreader are most definitely numbered – by my choice. For the sake of my sanity I’ve decided that my next job will most likely not be in the same field. If anything, I may consider a return to retail management or go off and so something completely out of my element. In short, the time is right to move on and try something different. Going for a real estate license? Selling cars? Driving the tractor that picks up golf balls at the local driving range? Who knows. Anything is within the realm of possibility at the moment. There’s a meme floating around and I’d be quite remiss by not taking advantage of it. Take note, however, that this assessment is based on my extremely limited capacity as a proofreader in my current position for a company that will remain nameless. You like? Make your own at uthinkido.com but you might want to screengrab your image (like I did above) before you save it. Both of my copies were pixelated after downloading so I had to do them again. Lame! We woke up to a pleasant surprise this morning: our tax monies were in our checking account! We had gotten them done last Saturday and we were told that the deposits would be made in 7-14 days with the State check being the first. The real surprise was that both checks were in this morning. We got a decent sum from both of our returns mainly because I worked all of 2011, when compared to 2010 when I only worked the last three months of the year and had to claim nine months of unemployment checks. The difference was such that we planned to do the only reasonable thing with our return: pay off our credit cards. During my time of unemployment, we had to make some sacrifices and skipping credit card payments was the norm. We paid what we could, when we could but the calls kept coming. Naturally, fees got tacked on and before we knew it, the monthly payments were out of control and then the letters, calls, and emails starting arriving. We put a sudden end to all of that today. Aside from Ann’s Visa card, all of the others were specialty cards for places like Dell and whatnot. Ann called to take care of her cards while I was at work and I handled mine when I got home. HSN stuck to their settlement of 60% of the balance, Old Navy was happy with the amount I offered to settle, and I talked Dell down from $1,500 to $900. Yes, I know our credit will take a hit but with all of these being paid, we have no more credit card debt. Zip. None. The only thing we have are car payments, utilities, and a few other things like car insurance and our TV/Internet bundle. But as long as we don’t dig ourselves into another hole, we’re good as gold and will take some time to get rebuild our credit scores. Part of the fun of paying off bills is calling and trying to get the issue resolved. Most of the time, the person who answers has no clue and will either transfer you to the appropriate department, where you will have to enter all of your information again – via voice or keypad – and be put on hold again. It’s frustrating. This was the case with Old Navy. Ann had already called to explain everything and all they needed was my approval to settle. There was such a delay in the connection (to India) that I had to repeat almost everything I said and using Skype, the delay was even worse. Done and done. Paid. Then I called Dell. “Is it a Dell,” I sarcastically asked. I was met with a 10-second silence and I’m pretty sure I saw those daggers starting to come through my Skype line. I muted the line and turned to Ann, laughing. Meh. At the end of the day, everything is paid off. And I’m sure the credit card companies will miss my sarcasm. 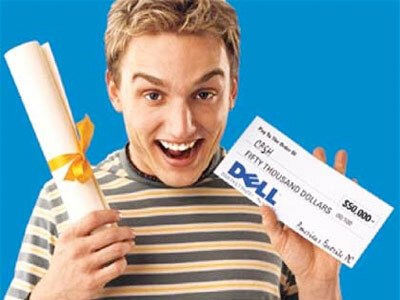 "Dude, your Dell account is paid off! Where's my bong?"